An original replacement power supply can be difficult to find. 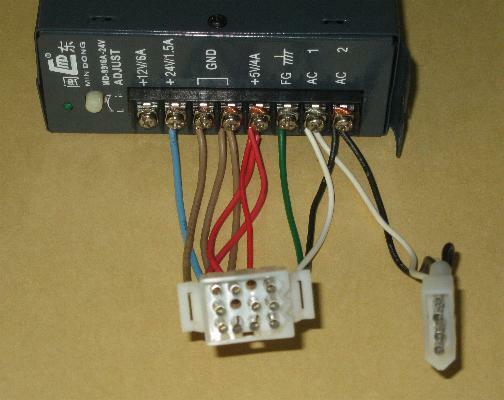 A simple solution is to use a commonly available switching power supply. 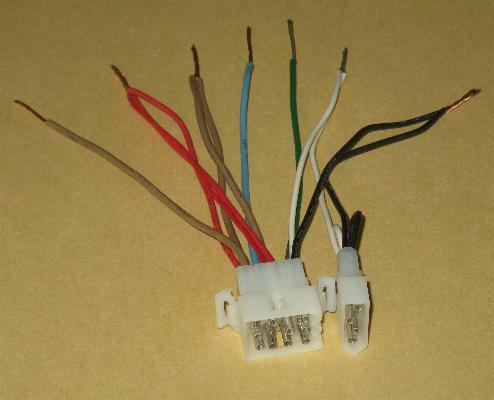 You just need to build a small adaptor having the same two Molex connecters found on the original supply. 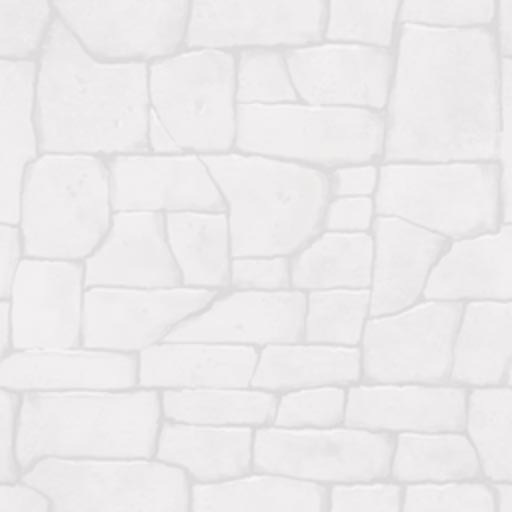 This document will show you how. The Dragon's Lair / Space Ace system relies on the power supply for three output voltages: +5VDC for logic, +25VDC for audio, and 6.3VAC for coin door lights. Since no switcher supply provides the 6.3AC volts, we will be forced to use +5VDC for the lights. They will be slightly dimmer, but not enough to be a problem. My tests show that a running Dragon's Lair boardset draws about 600mA on the 5 volt line, and less than 500mA on the 25 volt line (typically 200-300mA depending on volume level). So when selecting a replacement supply, you simply need one that can deliver 5VDC @ 2A or higher, and 24VDC or 12VDC at 1A or higher. 1 - if you feed 12 volts on the 25V line, you will get 10.3 volts delivered to the amplifiers. 2 - the LM383 amplifier chip is designed to run on input voltage as low as 5 volts. 3 - since the audio circuit is designed to produce a fixed level of gain, it compensates for the lower voltage and delivers the same output volume level. Pretty cool. Right! Also be aware that the 4 pin connector delivers 110VAC power for the monitor, marquee light, and cooling fan. The original power supply would step this voltage down to 110 when connected to 220V. 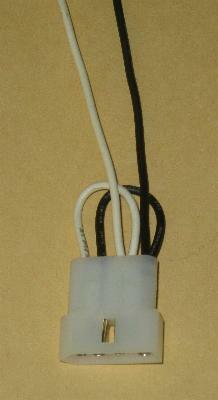 Therefore, this modification is only for use in a 110VAC environment. Attach the pins. 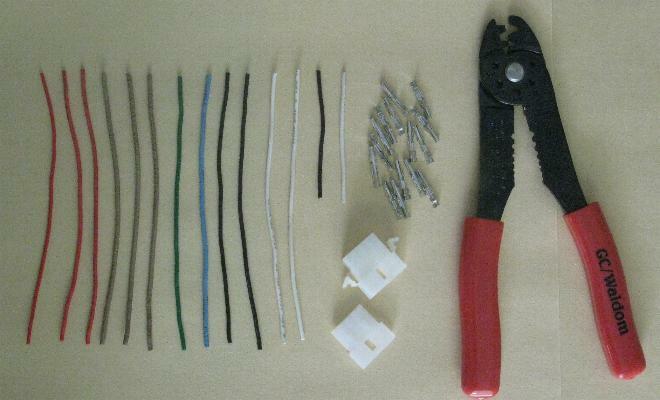 Take note of how the 2.5" wires are attached. Wire the 4 pin Molex connector. Insert the pins until a click is heard. Wire the 12 pin Molex connector. Back row first. Take note of the triangle "keys" in the bottom front. 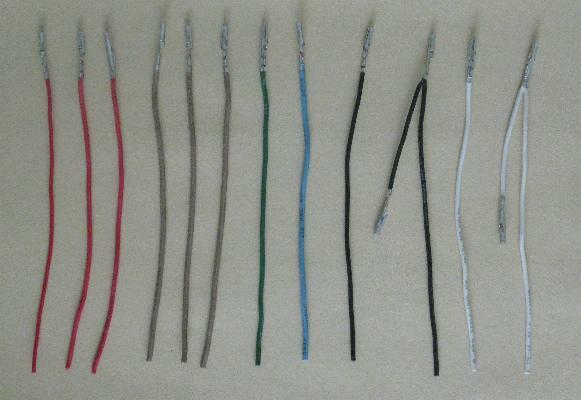 Strip the wire ends and twist them together as shown. 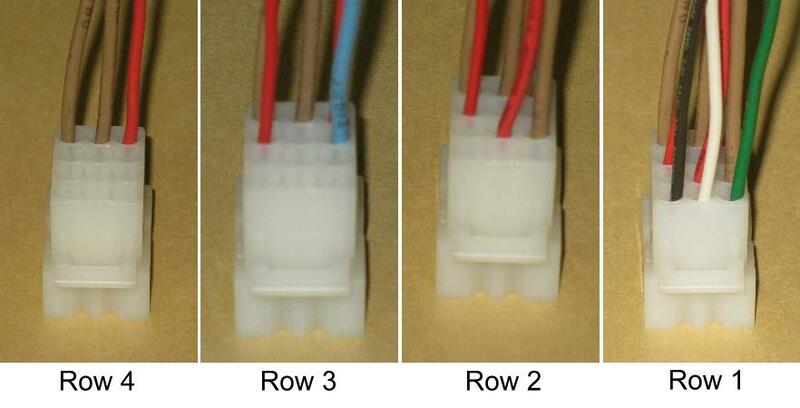 The two "GND" terminals are the same, so the brown wires can be attached in any combination. Some power supplies will have negative voltages (-5V or -12), never attach to these, it will damage your board. That's it! Mount the new power supply. Attach the main harness. We are dealing with raw power here, which can be very dangerous to yourself and to your machine. 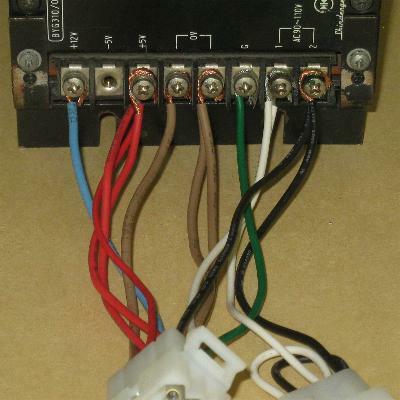 Improper wiring CAN and WILL damage your circuit boards. This document is presented for reading enjoyment only. If you proceed to modify your equipment, your are doing so at your own risk and you accept full and sole responsibility for the results. The Dragon's Lair Project makes no warranty or assumes any legal liability or responsibility for the accuracy, completeness, or usefulness of any information, apparatus, product, or process found in this document.